My days have been off this week. All day yesterday I was thinking it was Tuesday and then realized just before bed it was actually Wednesday and I missed putting up Treasure Hunt Thursday. I figure everyone is busy rushing around by now so the party will continue next week! 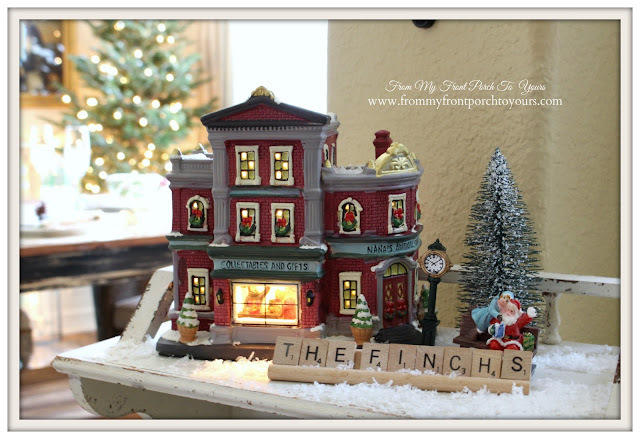 Till then I thought I would share a few more Christmas vignettes around the house that I have not yet shared. 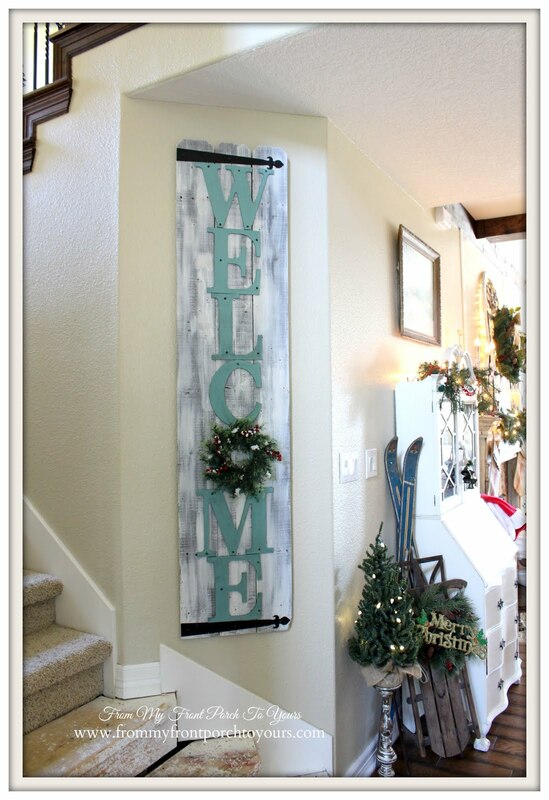 This Welcome sign use to be out on our porch but I am loving it just as much inside our home. Please ignore the unfinished stairs. They are top on our DIY list for 2016! I found these blue vintage child skis back at Thanksgiving while Antiquing in Ga. They go perfect with my mama's childhood sled. I hope that everyone has a safe and enjoyable Christmas Eve and Christmas! From our home to yours Merry Christmas! Pamela, I adore your "welcome" sign! It looks wonderful in its' new home! The skis are perfect with your mom's sled! You have a beautiful holiday home! Merry Christmas! Beautiful Pamela. Enjoy tonight and tomorrow. Merry Christmas to you and your family. 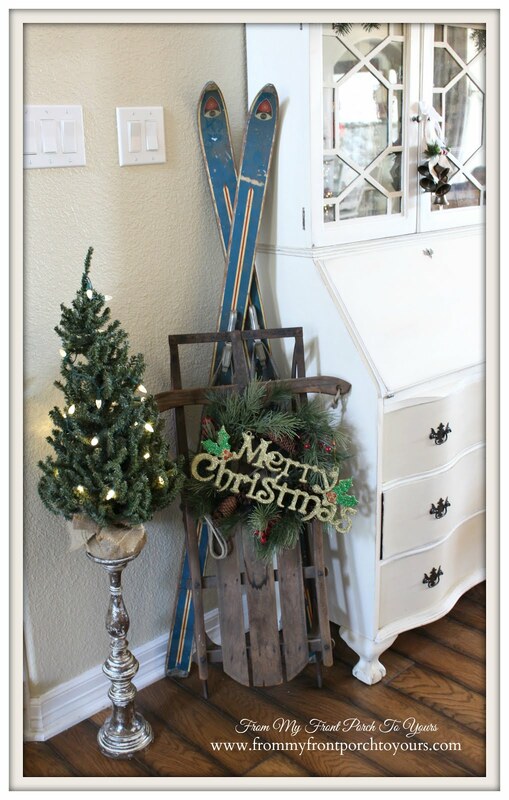 Lovely decorations - big fan of skis used in décor! Thanks for hosting Treasure Hunt Thursday throughout the year and it is totally understandable that you forgot at this busy time. Look forward to next week's when we all have more time to "browse" the inspiration. Wishing you and yours, a very Merry Christmas!